The coverage of all three providers are quite similar. 2G and 3G is on 850 and 1900 Mhz, so users from Europe and Asia need a "US-band" device. 4G/LTE is not yet available. Generally data is pretty slow and 3G coverage variable. In Argentina WIFI is much more popular and available almost everywhere. That's why all operators only offer small amounts and no big data packs. In 2013 the first national MVNO started with Quam, now renamed in Tuenti móvil. All three offer prepaid cards you can buy on literally hundred of shops around the city. The first thing they will sell you is the chip (SIM) which is around $30. Once the number is activated, which is instantly, you can charge your new number on any kiosk around the city. You will see signs with a legend like "Cargamos Personal, Movistar, Claro". You will be asked for your number and the amount you want to charge and they will send you the credit instantly. You should receive an SMS confirmation with your new credit. You will have to pay with cash on most of the Kiosks. If you want to use a credit card go to a branded store or use the online option at the official website for the carrier. In 2013 users said it was nearly impossible to find MicroSIM or NanoSIM cards. As of 2014 many sims now come in Standard size with the perforated cuts to pushout to MicroSIM size. It is not currently known if NanoSIMs are easily available. They sell different chips for smartphones, tablets and computers (modems). Once the quota is reached, speed will be reduced to 128 kbps. You can restart high speed volume up to 3 times a day by texting TURBO to 252. For this, the same amount will be deducted. Chips and recharges are sold in their shops and outlets. They are also often available from kiosks for about $15. For recharges you are awarded bonuses: For $50-80 you get $30 and $100-180 you get $80 bonus. Like Claro, Movistar has daily (0-24h) "flat" rates for prepaid. A 15MB block lasts till midnight and costs $3.10 (approx 0.25USD / 0.15GBP). If you exceed the 15MB, then the first time an additional 15MB block is automatically added at the same price. Once you have hit 30MB in a single day, you will not be automatically billed any additional blocks. You can manually add additonal blocks by texting ALTA to 772. If you don't add further blocks then you still have Internet access for the remainder of the day, but at a reduced speed of 32 kbps. They offer only one pack: For $9.90 per week you get 10 MB per day for 7 days. For overuse you can switch to the daily pack (see above). Activation by texting Internet to 2345. Chips and recharges are sold in their shops and outlets (shop locator). 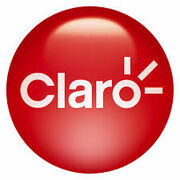 Like Claro Personal has daily (0-24h) "flat" rates for prepaid. They cost $1 for 10 MB for Tarifa Prepago and $2.50 in Tarifa Nacional. You can add the "Pack Simple" for "unlimited" internet within 7 days for $9.90 by texting ACT SIMPLE to 152 or the "unlimited" internet for 30 days for $34.90 by ACT INTERNET30 to 152. Speed will be reduced to 64 kbps when using more than 10 MB per day. Tuenti móvil (formerly called Quam) is the first nationwide MVNO in Argentina, started at the end of 2013 by Telefónica. 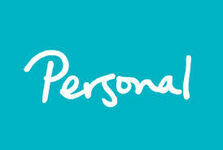 It targets primarily young people and uses the network of Movistar. SIM cards are available online for free to be sent to an Argentinian postal address or at kiosks showing their logo for around $10. There, they sell recharges too. The chip can be activated online or by calling *999. Data speed is up to only 384 kB/s.